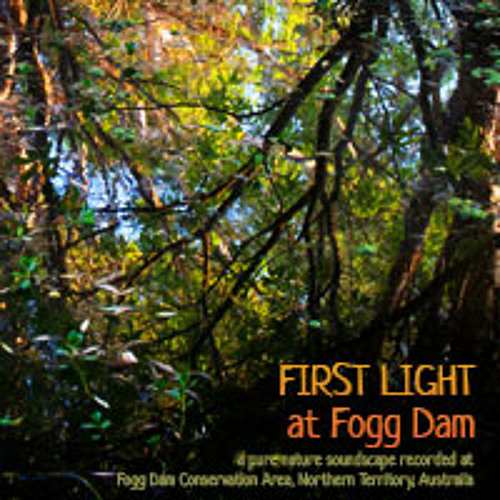 Fogg Dam is a wildlife sanctuary protecting flood plains, paperbark and monsoon forest in the far north of Australia. The Adelaide & Mary River Floodplains are an Important Bird Area (IBA) in Australia and Fogg Dam is a particularly significant part of this bioregion as it’s wetlands retain water throughout the year, providing a vital haven for wildlife in the dry season. This sample was recorded in pre-dawn light where the monsoon forest merges with the wetland. A range of bird species can be heard – forest-dwelling birds herald the dawn while nocturnal Large-tailed Nightjars make their ‘chopping’ calls in the dim light. Waterbirds such as Magpie Geese and Whistling Ducks fly over the forest toward the wetland and the gurgling territorial calls of Orange-footed Scrubfowl can occasionally heard in the distance.